1 Kings 8:2 (NASB) All the men of Israel assembled themselves to King Solomon at the feast, in the month Ethanim, which is the seventh month. The above verse is the only instance in the Bible where the seventh month or Tishrei is called by another name, Etanim. 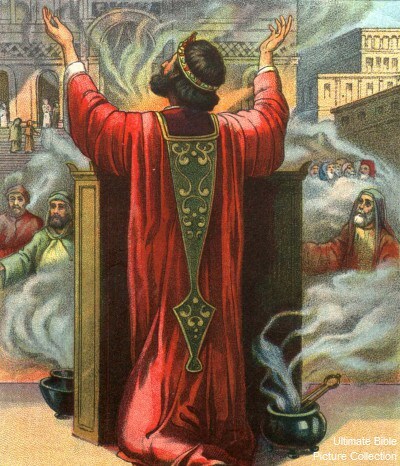 Interestingly, the context is King Solomon dedicating the permanent House or Temple of YHWH. I used the adjective “permanent” intentionally. 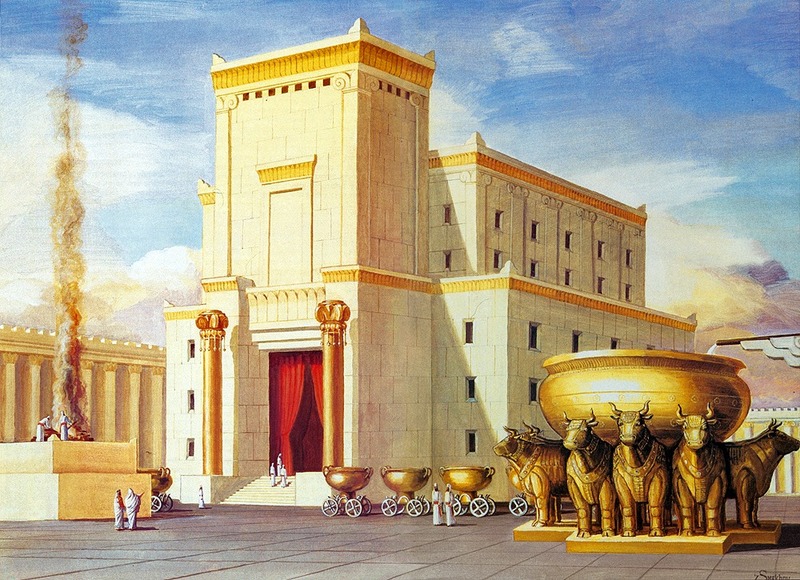 The Temple’s predecessor, the Tabernacle or Mishkan, was a moveable tent-like dwelling. It moved, and the people followed. In other words, the dwelling place of Adonai was first characterized by “movement.” This recalls the first instance of the Holy Spirit in Genesis one, where the Ruach moves or hovers over the faces of the waters. God is not stationary or static. However, the Dwelling Place that Solomon built was a fixed structure, a Bayit, a House. Building Abba’s House was the dream of King David, the Beloved. YHWH is not at all disturbed by His circumstances. The word translated above as “moving about” is the Hebrew word halak. This text literally says, “I have been walking in a tent and a tabernacle.” God is moving, even in the tent. I don’t know about you, but I’m thrilled to serve a God and King that MOVES and WALKS. He is not like the deaf and dumb idols of darkness. But if that’s the case, wouldn’t building a “permanent” House for YHWH detract from this metaphor and the characteristic “movement” of the Holy Spirit from the beginning? After all, movement is the opposite of something permanent. Or is it? Etanim is a significant term to use for the 7thmonth. I encourage you to read all of 1 kings chapter 8 for context, but also as a lesson for this season, the 7thmonth. Below, is Brown Driver Brigg’s definition of Etanim followed by Strong’s. 1) seventh Jewish month, corresponding to modern Oct. to Nov.; so named because permanent streams still flowed. H386 אֵיתָןēytān: A masculine noun indicating strength, permanence, endurance. Figuratively, it describes the usual, constant position of a stream or sea (Exo 14:27). Etanim is the plural of eytan. The verbal root means to endure or to continue. Obviously, King Solomon’s desire was for the House of YHWH to perpetually endure, just as God promised King David that his house (dynasty/throne) would continue or endure. Allusions to eternity begin to form with this one well placed word. The number seven also alludes to something eternal. It is the number of rest, Shabbat, completion, and dedication of the House (Temple). In the 2 Samuel passage quoted above, David was at rest (7) when he desired to build Adonai a House (7). Likewise, when King Solomon dedicates the House of YHWH, he and Israel are also at rest (7). 1 Kings 8:55-56 (NASB) And he stood and blessed all the assembly of Israel with a loud voice, saying: 56 “Blessed be the LORD, who has given rest to His people Israel, according to all that He promised; not one word has failed of all His good promise, which He promised through Moses His servant. The seventh day and the seventh month are figures of the Messianic Age and Kingdom. Thus, the fall feast days in this season are prophetic of the same. The definitions of Etanim are just another hint to this truth. Permanence, strength, and endurance are true descriptors of the King and His Kingdom. But Etanim is also associated with moving water. 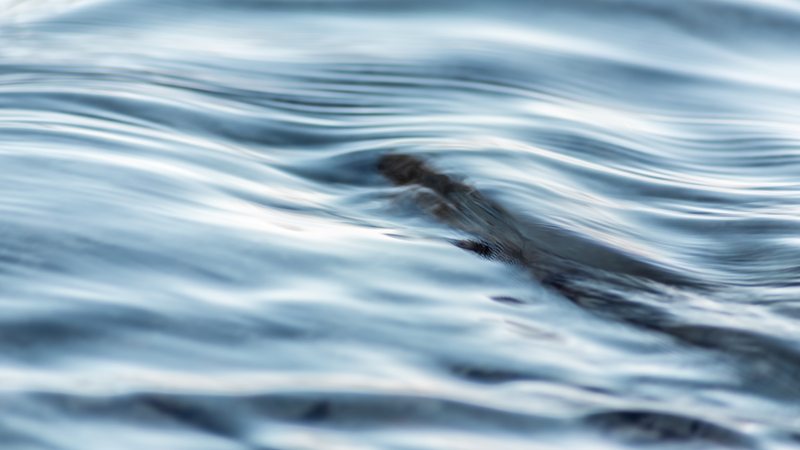 Moving water. Movement AND perpetuity. Ever-flowing springs. Rivers of Living Waters. There is no contradiction. YHWH’s permanent, stationary House is also moving. Out from His Throne flow rivers of water. This is Etanim. This is the seventh month, the turn of the year when the traditional water pouring ceremony takes place. But there is more. Where is the first mention of water? In the very beginning. Gen. 1:1-4 (NASB) In the beginning God created the heavens and the earth. 2 The earth was formless and void, and darkness was over the surface of the deep, and the Spirit of God was moving over the surface of the waters. 3 Then God said, “Let there be light”; and there was light. 4 God saw that the light was good; and God separated the light from the darkness. At the foundation of the world, there was water, deep waters. Job 38:4-7 (NASB) “Where were you when I laid the foundation of the earth? Tell Me, if you have understanding, 5 Who set its measurements? Since you know. Or who stretched the line on it? 6 “On what were its bases sunk? Or who laid its cornerstone, 7 When the morning stars sang together and all the sons of God shouted for joy? 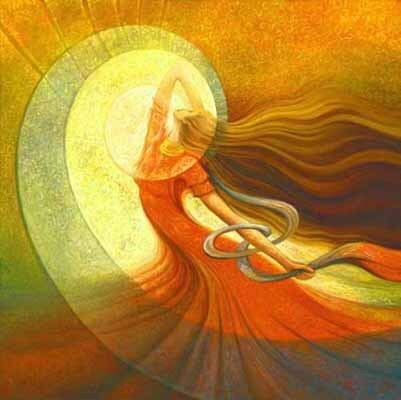 The fullness of the seventh month is not just about the end, it is also about the beginning, because they are one. When the foundations of the earth were laid, the sons of Elohim shouted for joy. “Shouted” in Hebrew is ruah, the root of t’ruah, as in Yom T’ruah, the feast of trumpets or shouting. Wisdom was with Elohim even before the deep waters, and she too, celebrated creation. Pro. 8:22-31 (NASB) “The LORD possessed me at the beginning of His way, Before His works of old. 23 “From everlasting I was established, From the beginning, from the earliest times of the earth. 24 “When there were no depths I was brought forth, when there were no springs abounding with water. 25 “Before the mountains were settled, Before the hills I was brought forth; 26 While He had not yet made the earth and the fields, Nor the first dust of the world. 27 “When He established the heavens, I was there, When He inscribed a circle on the face of the deep, 28 When He made firm the skies above, When the springs of the deep became fixed, 29 When He set for the sea its boundary so that the water would not transgress His command, When He marked out the foundations of the earth; 30 Then I was beside Him, as a master workman; And I was daily His delight, Rejoicing always before Him, 31 Rejoicing in the world, His earth, And having my delight in the sons of men. Pro. 31:25 (TLV) Strength and dignity are her clothing, and she laughs at the days to come. Jer. 30:18-19 (TLV) Thus says Adonai, “Indeed, I will return Jacob’s tents from exile, and have compassion on his dwellings… 19 Out of them will come thanksgiving and the sound of celebration. I will multiply them, so they will not decrease. I will also honor them, so they will not be insignificant. Jer. 31:4 (NKJV) Again I will build you, and you shall be rebuilt, O virgin of Israel! You shall again be adorned with your tambourines, And shall go forth in the dances of those who rejoice. The verses above are prophetically speaking about the end; whereas Wisdom was doing the same at the beginning. In the seventh month, we are told to rejoice. I pray that we can truly celebrate with Wisdom’s shachak (laughter), and not the mocking spirit that this word can also indicate. When the exiles from Babylon returned to the Land, Rosh Hashanah or Yom T’ruah was the first feast that they celebrated. I believe this was prophetic of what is to come in a future ingathering. Notice that they are standing at the “Water Gate,” an allusion to returning to the creation waters, and the foundation, Torah. Neh. 8:1-3 (NASB) And all the people gathered as one man at the square which was in front of the Water Gate, and they asked Ezra the scribe to bring the book of the law of Moses which the LORD had given to Israel. 2 Then Ezra the priest brought the law before the assembly of men, women and all who could listen with understanding, on the first day of the seventh month. 3 He read from it before the square which was in front of the Water Gate from early morning until midday, in the presence of men and women, those who could understand; and all the people were attentive to the book of the law. Neh. 8:9-12 (NASB) Then Nehemiah, who was the governor, and Ezra the priest and scribe, and the Levites who taught the people said to all the people, “This day is holy to the LORD your God; do not mourn or weep.” For all the people were weeping when they heard the words of the law. 10 Then he said to them, “Go, eat of the fat, drink of the sweet, and send portions to him who has nothing prepared; for this day is holy to our Lord. Do not be grieved, for the joy of the LORD is your strength.” 11 So the Levites calmed all the people, saying, “Be still, for the day is holy; do not be grieved.” 12 All the people went away to eat, to drink, to send portions and to celebrate a great festival, because they understood the words which had been made known to them. On the new moon of the 7thmonth, the people HEARD and UNDERSTOOD the Torah. They wept. I wonder how many exiles will not be able to hear or understand the Torah until YHWH gathers them again? And, I wonder even more if those that hear and understand the Torah now will respond as the Levites did. The Levites calmed and quieted the tears of these grieved souls. Then, they encouraged them to go eat, drink, share with others, and celebrate the feast! We could learn a few things from Nehemiah and Ezra. This was truly a new beginning, a new moon, and a new year for the people. This is Etanim! Ps. 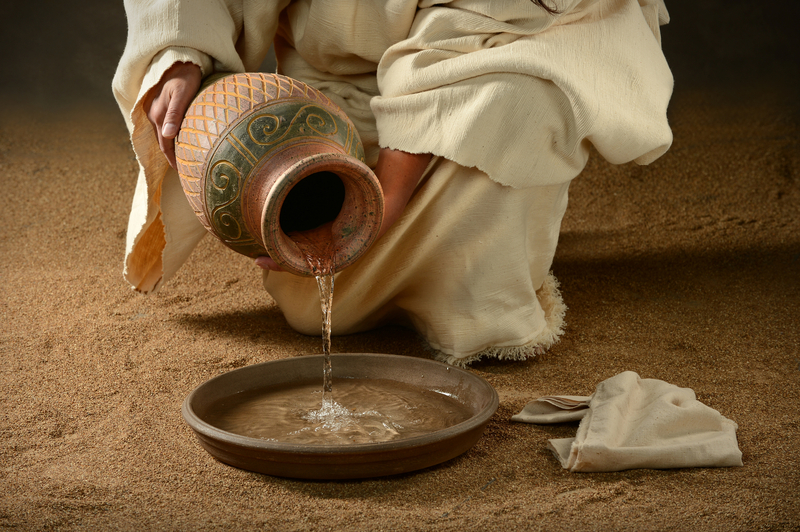 36:8-9 (NKJV) They are abundantly satisfied with the fullness of Your house, And You give them drink from the river of Your pleasures. 9 For with You is the fountain of life; In Your light we see light. Beloved, I pray that you will celebrate the beginning and the end, the enthronement of Adonai, the creation, you as a new creation, and that you will shout with joy at the River of Life in the month of Etanim. To YHWH be the glory! H7832 שָׂחַקśāḥaq: A verb meaning to laugh; to celebrate; to rejoice; to mock. It refers to a strong expression of joy: of celebration (Jer 30:19); of making merry, rejoicing (2Sa 6:5, 2Sa 6:21; Jer 15:17); it means to play, to sport, to have fun (Psa 104:26). But it is often used in a context where ridicule or mockery is directed at someone or something (Jdg 16:25). It is used in parallel with mocking (Pro 1:26). Great kings mocked at lesser kings (Hab 1:10). Samson was forced to serve as a tragic comedian for the Phplistines (Jdg 16:27). It is used figuratively of wisdom personified, laughing, rejoicing at God’s creation (Pro 8:30-31). The teacher taught that there is a time for genuine laughter (Ecc 3:4). It has the sense of playing, enjoying life, in some contexts, especially in the prophet’s vision of a restored people of God (Zec 8:5). It means to sing and indicates singing women (1Sa 18:7). It means to play a sport, to hold a contest or a match (2Sa 2:14). In its causative stem, it means to cause laughter toward persons, to mock them (2Ch 30:10).